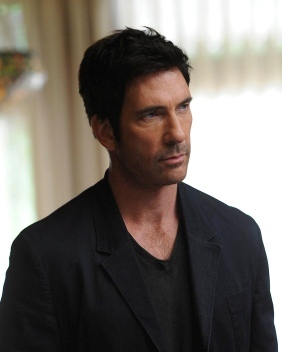 Dylan McDermott. Photo by Robert Zuckerman / FX. Actor Dylan McDermott (The Practice) returns to the hit FX series American Horror Story: Asylum, leading up to this season’s dramatic conclusion. In a recent interview with StayFamous.Net, he talked about his fellow co-stars and the critical acclaim the series continues to receive. 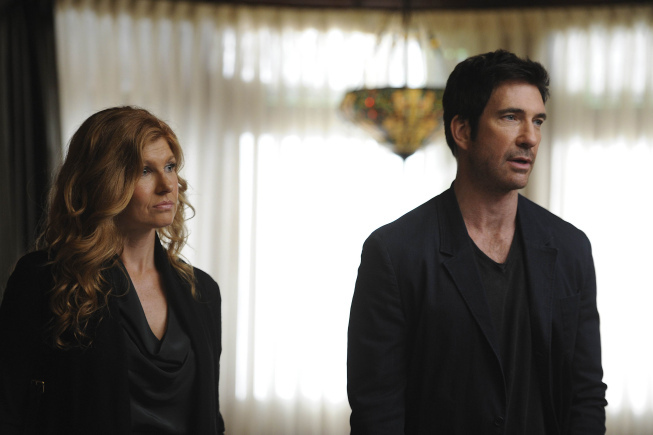 Dylan McDermott (left) and Connie Britton star in the first season of the FX original series “American Horror Story.” Photo by Prashant Gupta / FX. American Horror Story: Asylum airs Wednesdays at 10 p.m. ET/PT on FX.